Enjoy Some Facts About India! We've created this page to share some amazing facts about India with you! India is a large and unique country that has been around since the beginning of civilization so there are a lot of fun and interesting things about India to share! Although Indian culture has been around for a long time, it's still a something that is relatively new to many of us in western world. However, Indian culture and people are now more present in our societies, schools, television programs and cinematic films and western culture is more popular in India today. For this reason, we have a greater curiosity to discover the facts of India. 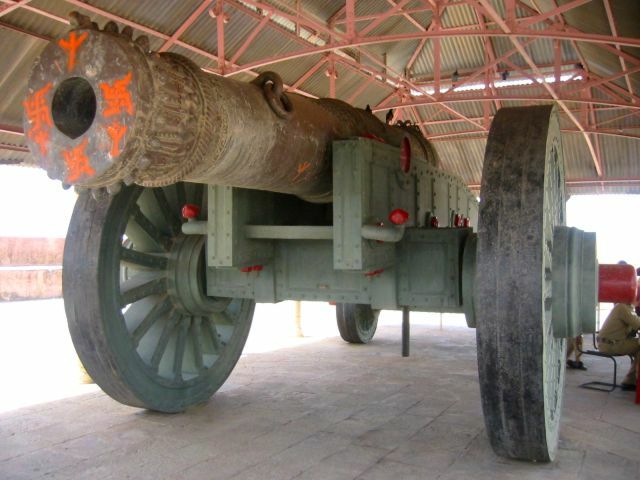 India has the world's largest cannon! Its name is Jaivana and this massive cannon was so loud, when fired, that its operator had to submerge his entire body into a pool of water to avoid going deaf from its blast. The cannon was rumored to fire well over distant mountain ranges! This is one of my favorite facts of India! India is currently the second most populated country in the world, while China is the first. India is expected to surpass China as the world's most populated country within the next nine years, another amazing India fact! One of the most interesting facts about India is that its population is expected to reach 1,205,073,612 persons by July 2012. This means India will house approximately 18% of the entire world's population! 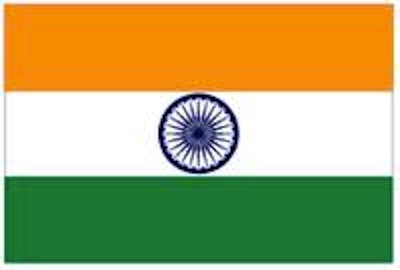 The country's name, India, comes from the Indus River becauseancient Indian civilizations like Harappa emerged and settled along the Indus river of Eastern Pakistan and North Western India. The nomadic Aryans dominated these early settlements and referred to the river Indus as the Sindhu, but Persian invaders later converted it into Hindustan. The name Hindustan combines Sindhu and Hindu and refers to the land of the Hindus. The study of Algebra, Calculus and Trigonometry began in India, this is one of the lesser known facts of India. 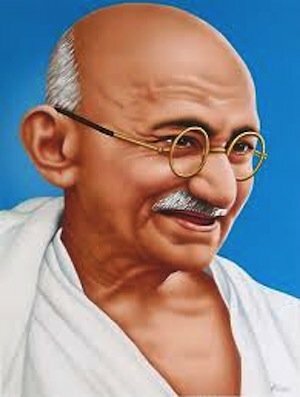 Another fact about India is that both the concepts of the "place value system" and the "decimal system" were developed in 100 BC in India. The first six Mogul Emperor’s of India ruled in an unbroken succession from father to son for two hundred years, from 1526 to 1707; talk about keeping the power in the family! India's Brihadeswara is the world's first granite temple, located in the city of Tanjavur in the state of Tamil Nadu. The temple's rounded, layered disc structure called the shikhara was made from a single 80-ton piece of granite. India's Brihadeswara Temple was built in just five years, from 1004 AD to 1009 AD. India is the sixth largest country in the world by land area. Another of the facts about India is that India is one of the most ancient living civilizations, at more than 10,000 years old. More than 2500 years ago, an Indian man named Mr. Charaka created Ayurveda the oldest school of medicine. India was one of the world's richest countries until the British ruled it in the early 17th Century; India is still working to recoup its status of wealth. Christopher Columbus was attracted by India’s wealth and was looking for route to India when he discovered North America by mistake; this I consider to be a funny India fact. The value of the mathematical character pi was first calculated by the Indian Mathematician Budhayana. The Baily Bridge is the highest bridge in the world. It's located in the Ladakh valley between the Dras and Suru rivers in the Himalayan mountains, and was built by the Indian Army in August 1982. An ancient Indian named Sushruta is regarded as the father of surgery. More than 2500 years ago, Sushrata and his group did complicated operations like cataract, artificial limbs, cesareans, fractures, urinary stones and also plastic and brain surgeries. Detailed knowledge of anatomy, embryology, digestion, metabolism, physiology, etiology, genetics and immunity are also found in many ancient Indian texts. I think this is one of the great lessor known facts of India because it relays to why so many Indian people go into the medical field. The economy of India is the eleventh largest economy in the world by nominal GDP and the fourth largest by purchasing power parity (PPP). One of the funny facts about India is that due to large domestic market demand, India has now surpassed the United States to be the world’s second largest consumer of natural rubber, following China. India has the No.1 position in the ICC Test Championship table for Cricket after the annual update and is now 11 rating points ahead of the number two teams. India has been ranked second in global manufacturing competence ahead of the US and South Korea. India emerged as one of the world’s top ten countries in industrial production per United Nations Industrial Development Organization. India's Gross Domestic Product: 1,217.5 billion US dollarsSource: World Bank, 2009. As of 2004, India has the world's second largest English-speaking technical workforce; this is partially due to outsourcing by the United States. Discover the cultural philosophies of India! Leave facts about India to continue exploring India from our homepage.